For the last 2 hours I have been staring at my screen trying to come up with something to say about our Birthday. Yes #foodyturns3. But what can I say about it? The only thing I can say is a big Thank you for all your love, patience and support. Thank you for sharing the love when things have worked well and for the constant feedback and suggestions you send our way daily – your positive comments truly helped our team move forward. Thank you for letting us know when something wasn’t working well and especially when we screwed up – you gave as a unique opportunity to improve. And above all a Thank you in advance for continuing to do so in the future. Looking back I am surprised to see how much foody has grown in the past 1095 days. On our 1st birthday we had approximately 10 000 orders per month, on our 2nd 37 000 and on our 3rd close to 100 000. At launch we were a team of 5, now we are 32. And even before launching, we expected to have at most 200 Restaurants on year 5, but we now have more than 500 on year 3. 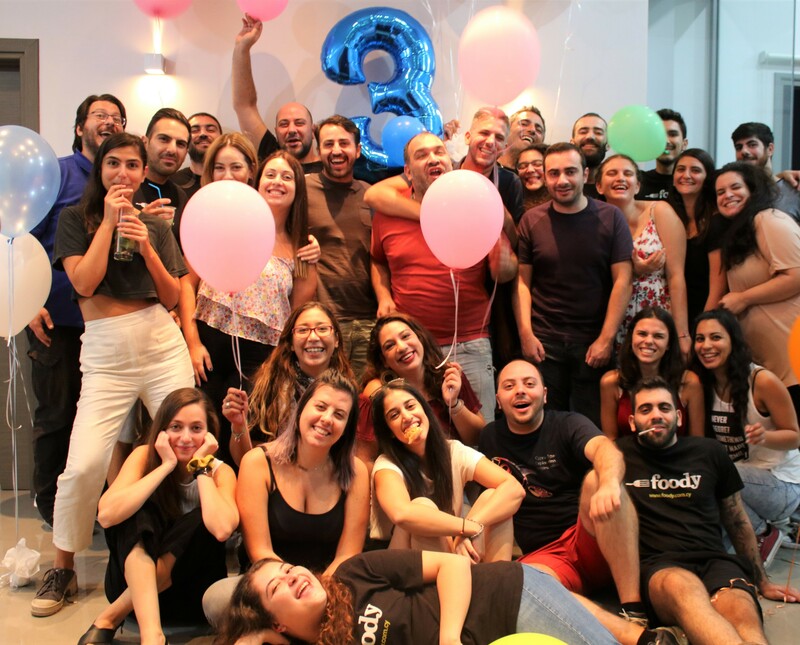 Foody is now part of everyday life in Cyprus. Almost every new person I meet has a foody story to share with me and this is something truly special. On our end, I can only promise that our team will continue to care about the experience we provide to you and at the same time learn and improve every single day.